Jessie Tarbox Beals (1870–1942), one of the earliest women photojournalists, captured everything from a Rough Rider reunion to suffrage parades with the large-format camera seen in this self-portrait, ca. 1901–1903. 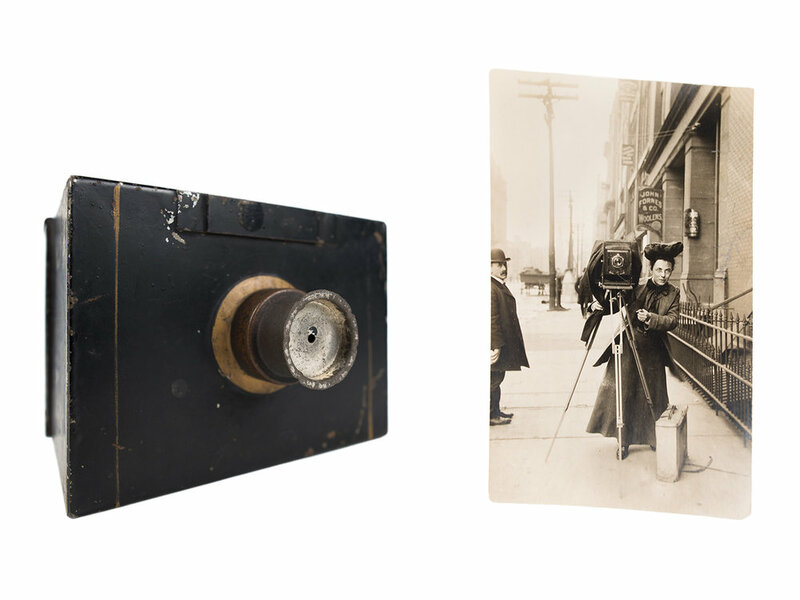 The small box camera, which Beals acquired in 1888, is thought to be her first. The Library’s collections include a number of photographers who followed the trail blazed by Beals and others like her. Learn more about Jessie Tarbox Beals. See the Schlesinger Library's research guide on photographers. Dorothy West’s writing desk, n.d.